John Williams is a loving husband, father, runner and photographer. Three years ago, John left his job of twenty five years in Corporate America to pursue his passion of starting his own photography business, JDUB Photography. As a photographer, John is inspired daily by the stories of people he captures in photos. The one story John did not expect to capture, was the Transformation of his own life. 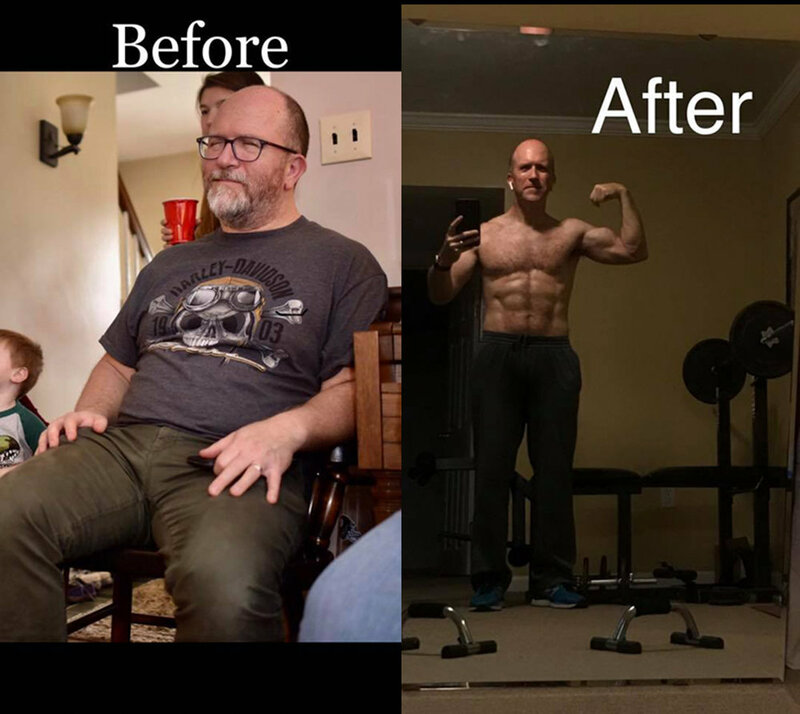 A year ago, John saw a photo posted on Facebook of himself, that would ultimately change his view of himself and would jump-start his health and fitness journey. SI | We are so inspired by your story, can you tell our readers a little more about yourself? John | My name is John Williams and I’m a 50 year old, happily married man, with three beautiful daughters. Three years ago I left Corporate America to pursue my passion, and I started my own photography business. As a photographer, I love capturing memorable moments of my clients through my lenses; it’s what I do and who I am. Last year, I saw myself on the other side of the camera in a photo on Facebook. That was the moment; I decided to make some changes in my health and fitness journey. SI | John please share more about this journey. John | I’ve always struggled with my weight. It actually started, while working in Sales as a Recruiter. I took a lot of clients out for lunch and dinner and I ate really well. I worked 60+ hour weeks, traveled all the time and I could never get into a fitness routine. I was always dieting (Atkins, low carbs, you name it I was trying it). I was then introduced to the idea of running, so I started running (the first time around). SI | Please share more about running and “the first time around”. John | It started approximately 10 years ago. There was this woman who worked in our Richmond office, who was a runner. She was really into it and would always talk about running. She shared some tips on how to get started, so I figured I would give it a try. I started with running / walking 1 block, then 3 blocks and each week I would add on more time and longer distances. When I had to travel for work, I took my running shoes with me and sure enough, I started to lose weight and that was very encouraging. I loved running all year round. I could run in the heat and humidity, cold, rain and snow. There was something almost spiritual about it. I was outside experiencing the elements and I could think more clearly. I felt like I had an edge. That was the beginning of my love for running, but then life happened and I stopped running. SI | When you say life happened, what made you stop running? John | When I started running 10 years ago, running was also a stress reliever. I was going through a divorce and work was very stressful, so I literally ran through self-doubt and insecurities. A few years later, I met my wife Cris. I actually met Cris in high school, but we reconnected during the planning of our high school reunion and it was then that I knew, we were meant to be together. It was a bonus that Cris was a runner. Cris and I decided we would do a race together, so we both started training for a half marathon. A month before the race, I found out I had vertigo so I wasn’t able to run in the race. Of course, I went to support Cris. Shortly after that, I found out I had melanoma on my shoulder. During this time Cris and I both stopped running. With surgery, melanoma was completely removed, but it was a very trying time in my life. Cris and I tried a few times to get back on the running wagon, but it was so hard. The further away we got from running; it felt like that part of my life was gone. As I put on more weight, I had problems sleeping. I had a sleep study performed and found out I had sleep apnea. As I mentioned life happened, and I couldn’t get back into the groove of running. You would think after all of that, I would have wanted to make a life style change, but it didn’t. It was me seeing myself in a photo that triggered my commitment to change my lifestyle and start running again. SI | John, thank you for sharing this journey. Sometimes people need to know and hear that it’s ok to restart and recommit. Thank goodness, each day can be a fresh start. What one piece of advice would you give someone who is having a hard time of finding their pick up and go? John | Think about a primary goal and then put a plan in place to meet your goal. For me it was singing up for a race. I made completing a half marathon my goal. To reach this goal, I started training and eating healthy, as I wanted to be in great shape to complete this race. By default, the weight loss came with it. Sure you will hit plateaus and get frustrated, but don’t let that shift your focus from your goal. It’s all mental. Stay committed to the end goal. Lock it in where nothing can shake you from it. SI | John, that’s great advice. Are there any special motivational practices that you engage in? John | Running has become a part of me ….again. Yes, there is the physical standpoint, but mainly it’s a spiritual component for me. When I run by myself, I sometimes pray and have quiet time with God. When I run with Cris, we have our best conversations. We laugh, cry, fight and we make up. SI | What is your superpower? John | Love is my superpower. I believe that we are created out of love and God is love. We are created in God’s image. I feel it every day. SI | Who inspires you and why? John | My wife, Cris, inspires me daily. I admire her and she’s an amazing person. I also get inspiration from working with various people every day. While taking photos, I try to capture authenticity and genuine images. While doing that, I have to build a rapport and get to know people quickly by asking questions. I enjoy learning about their stories, which inspires me. SI | Do you have a mantra? If so, what is it? John | Romans 12:2, Do not be conformed to this world, but be transformed by the renewal of your mind. This bible verse has stuck with me many years. It’s so deep. We have the ability to transform ourselves with thoughts. We attach our identity to these thoughts. You can change how you think, your views, your mind and how you shape your world. SI | John thank you so much for sharing your journey. Your transformation is very inspiring.